Mr. Golchin completed his secondary education at Wesley College Dublin and studied medicine at Trinity College Dublin, graduating as a doctor in 1991. He completed his ophthalmology in UK and Northern Ireland and become a fellow of the Royal College of Ophthalmologists in London in 1998. Mr. Golchin was successful in attaining sub specialty training in cornea and anterior segment diseases in Sydney eye hospital in Sydney, Australia. He was fortunate to have trained under the supervision of renowned corneal specialists Dr. Lyon Robinson, Dr. Kathleen McClellan, and Dr. Gerard Sutton. Having completed a year in Sydney he was awarded a certificate of completion of clinical fellowship in cornea from Sydney eye hospital and a certificate of admittance as a visiting Scholar from Save Sight Institute in Faculty of Medicine, University of Sydney, Australia. Upon completion of his consultancy training he was awarded the Certificate of Completion of Specialist Training (CCST) from The Specialist Training Authority Of the Medical Royal Colleges, UK in 2003. 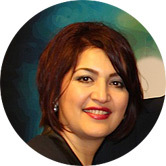 Dr Lana Obaid joined the Cork Eye Clinic in 2017 as an Associate Specialist. She has extensive experience in all areas of general ophthalmology. Dr Obaid graduated from Sana’s University in Yemen in 2004. She completed her internship in 2009 and it was then that she took an interest in ophthalmology. She began her ophthalmology career in Ireland in 2009 working as a Senior House Officer in Ophthalmology in Cork University Hospital from July 2009 to July 2011. She then worked in both Sligo and Galway Hospitals until July 2014 when she moved to Limerick and began working as an Ophthalmology Registrar. 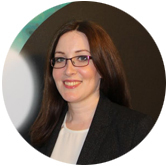 In August 2015, she began working as a Medical Ophthalmologist in both Our Lady’s Crumlin Hospital, Dublin and for the HSE West/Mid-West Region. After successfully passing the MRC(Ophth) and EBO examinations, Dr Obaid become a member of the Irish College of Ophthalmologists in 2013 and a member of the European Board of Ophthalmologists in 2014. In 2016 she registered on the specialist register as a medical ophthalmologist with the Irish Medical Council. Dr Obaid is passionate about ophthalmology and has a special interest in diabetic eye diseases and paediatric ophthalmology. She was the treating doctor for the diabetic screening programme in Limerick and has a keen interest in this area. In her role as the Clinic Manager Roya is in charge of the day to day running of this practice. As this is a busy eye clinic her organisational ability and interpersonal relationship has proved invaluable for the success and expansion of the eye clinic in Cork. Our medical secretary at the Cork Eye Clinic will assist you in making routine or urgent appointments to see Mr. Golchin. In response to the increasing demand for Mr. Golchin's service they ensure that the clinic is run in an efficient and organised manner and that the priority of the clinic remains patient focused at all times. Tracey joined CEC in 2014. She graduated as an optometrist in 2008 not only gaining a 1st class honours degree but also securing the Harte Barry Award and DIT student excellence award. 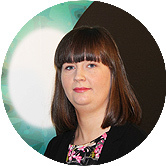 Tracey is a member of CORU and The Association of Optometrists Ireland. 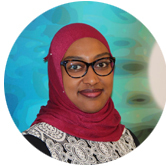 She has a keen interest in continually developing her optometric skills and knowledge and regularly participates in continuous education and training. This ensures that she is constantly up to date with the latest clinical developments and technologies. Working with Mr Golchin her job includes anterior and posterior ocular examination, fundus photography, OCT scanning and corneal topography . She also runs the visual field and lid hygiene clinics. She has recently underwent further training and now operates the new IPL (Intense Pulsed Light) Laser. Her skills and expertise are essential for the accurate running of these clinics and excellent patient care. Tracey is very passionate about her profession and always strives to offer the very best eye care experience.